•Totally dielectric device for non-slotted caps. •Curved plastic channel fits over the bill and secures with adjustable rubber headband that stretches around the exterior cap crown. 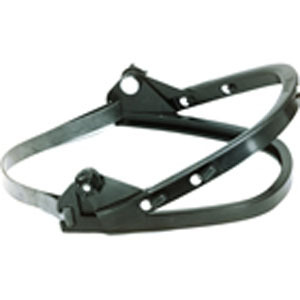 •Visors are secured with integral plastic lugs.